I’m a zealot for words and stories, especially the stories of how words came to be. Recently I heard the word ‘zany’ and recalled that it had an Italian origin. Well, that turned out to be almost true. Since they joined the newly constituted nation-state of Italy in the nineteenth century the Venetians have considered themselves to be Venetian first and Italian second. Venetian is unusual for a Romance language (see earlier blog ‘What Have the Romans Ever Done for Us?’) in that quite a few of its words begin with ‘z,’ perhaps owing to a traditional slurring of the ‘t’ and ‘s’. ‘Zany’ is one such word, and its origin isn’t as an adjective but a noun. A ‘zany’ was a clown who appeared in medieval theatrics. Sometimes he was a jester, sometimes an acrobat, sometimes a harlequin figure among the stock characters of the Commedia dell’ arte; at other times he was a toady, a mountebank, a buffoon or a merry-andrew (love that term). Though the word (originally ‘Zanni’ was a Venetian nickname for Giovanni, i.e. John) had its first recorded use in 1588, these days ‘zany’ is usually an adjectival synonym for a certain kind of humour (e.g. wacky, off-the-wall, goofball, zany). But back in the heyday of Renaissance Italian theatre the ‘zany’ was a popular character who imitated more serious characters. By the early seventeenth century the ‘zany’ had taken on adjectival form, meaning crazy or outlandish. What a zany word derivation. Another great ‘z’ word is ‘zealot,’ though it has taken a more direct path to the present day. According to Biblical descriptions, Zealotry was a political movement in the 1st century AD that encouraged the people of Judea to rise up against the Romans and expel that conquering empire from occupation of the Holy Land. Some sources claim that the Zealots were active during the Great Jewish Revolt of 66 to 70 AD, advocating tactics that we might now describe as ‘guerrilla’ or ‘terrorist’. St Paul declared himself a zealot: that is, one loyal to God; but this doesn’t mean he was a Zealot. The term came from the Greek word zelotes, meaning ‘emulator or admirer’. So it looks as if Paul, neé Saul of Tarsus (AD 5 – 67), gave us our first recorded use of this generic noun for an ardent enthusiast. And from there we’ve backformed ‘zeal’ and ‘zealous’. Not very zany perhaps. Which brings us to the word ‘carnival’: now this is zany. It comes to us, like many terms, from religious practice. Ah, but which religion? This derivation is in dispute. The most common origin theory, which makes historical sense, is a link with the Italian [and late Latin] word for meat: carne. The practice of fasting during Lent involved giving up aspects of customary diet. Meat was a common staple. So the term carne vale literally translates as ‘farewell to meat’. Carnevale celebrations in Venice, for example, included a ceremonial feast before the long fasting began. In other countries this occasion was known as Shrove Tuesday (today it’s often called Pancake Tuesday) or Mardi Gras or Martedi Grasso (both of which mean ‘fat Tuesday’). However, ‘carnival’ has another possible origin. Carrus Navalis was a Roman name for the festival of the Navigum Isidis (The Ship of Isis), in which the Ancient Egyptian goddess Isis was carried to the shore to bestow her grace on the ships at the annual commencement of sailing season. This festival included masked participants following a decorated boat, echoed by the floats of modern-day carnivals. Take your pick but I like the goodbye-to-meat theory. ‘Halloween’ isn’t all that zany, though it can be a lot of fun. The word is a shortening of Hallowe’en or All Hallows’ Eve (October 31st), the night before All Saints’ Day (1st November) in the Christian calendar, which is still a public holiday in many Catholic countries. But why Halloween? One seldom hears the word ‘hallow’ these days (one seldom hears the word ‘seldom’ either) except in archaic language such as The Lord’s Prayer (‘hallowed be thy name’) or descriptions of architectural grandeur (‘hallowed halls’). The word is Anglo-Saxon, or Old English. Its first recorded use as ‘Halloween’ was in the 16th century as a Scots rendering of ‘All-Hallows-Even,’ though the phrase ‘All Hallows’ previously occurred in Old English. Not so zany, but the costumes are fun. Now this truly is zany: the word ‘cretin’. There are several possible origins. The most common derivation is from a French dialect pronunciation of the word Chrétien (meaning a Christian). The usual explanation is that the word refers to an innocent person, such as a small child, and their Christ-like inability to sin because they can’t distinguish right from wrong. It’s pretty zany because that implies no moral capacity, and from all we know of Christ, he had plenty of moral capacity. Another explanation for the word has nothing to do with religion; instead that it comes from creta, the Latin word for chalk, because of the pallor of those affected with cretinism. Still not convinced? There’s also the possibility that it refers to the island of Crete, where iodine insufficiency, also known as hypothyroidism, was common. And then there’s the French word cretine, which meant alluvium, the soil deposited by flowing water, which alludes to a suspected origin of the affliction in poor soil. Zany, all right, and about as convincing as the other possibilities. Is it mete to eat meat? Apparently so. Zany. ‘Meat’ comes from the Old English word mete, and it meant food, not just animal products, which is why we still have words (verging on obsolete) like ‘sweetmeats,’ which contain no meat (unlike ‘sweetbreads,’ which do). There was also mat in both Swedish and Norwegian, and matur in Icelandic, which also meant ‘food’. The word ‘mete’ also existed in Frisian to mean important food, as distinct from swiets (sweets) and dierfied (animal feed). The Jewish dietary law of kashrut distinguishes between meat and fish. And I’ve always been puzzled by the way the Catholic restriction of ‘meat’ on Fridays, especially during Lent, does not apply to fish. Zany. ‘Willy-nilly’ doesn’t mean what you think it means. Or does it? The definition is somewhat willy-nilly. It’s a little zany. In its earlier form it appeared as early as 1000 in Old English. Shakespeare uses an early version in The Taming of the Shrew (‘Will you, nill you, I will marry you’) and in Hamlet (‘it is, will he, nill he, he goes’). Some authorities maintain that as the word derives from the phrase ‘Will he or nill [a contraction of ne will] he’ (meaning whether something is desirable or not), later uses are a corruption. But this ignores the zany factor. Like a naughty child, language is notorious for ignoring its parents. So, since its first recorded use in this form in 1608, the phrase has run off to play. The naughty word has developed zany characteristics with its parallel meaning of haphazardness or chaos. Speaking of the Bard, I’m a real zealot. And one of my favourite plays is The Tempest. This is a real zany one. The word ‘tempest’ has its origins in the Latin word for ‘time’: tempus, which also gives us ‘temporary’ as well as ‘temperature’ and ‘temper’. More zaniness. Tempestas meant ‘period of time’ or season, which later came to be associated with weather. So in time [sorry] tempestas came to signify bad weather, a storm and finally a violent storm. When ‘tempest’ entered English from Old French in the 13th century, this was the meaning it carried. But get this: Shakespeare was a zealot for puns, and by using the word ‘tempest,’ he recalls another tempus derivative: the word ‘temper’ which originally meant a mixture of elements, and then later took on the meaning of a mixture of moods. ‘Temperature’ originally meant moderate weather and then later came to mean degrees of warmth, as well as ‘temperate’ and ‘temperance’ (meaning moderation). Molto zany. But wait, there’s more. Shakespeare knew that ‘tempest’ was a feature of alchemy. In fact it was the alchemical term for boiling the alembic to remove impurities and transform the base metal into purest gold. The play’s central character is the former Duke of Milan, Prospero, who has become a magician and, more than likely, an alchemist. Some literary critics have even regarded Prospero’s goal as the transformation of fallen human nature (in the persons of Caliban, Antonio, Sebastian and Alonso) from wickedness to morality, and that the play follows an alchemical process. Trés zany. I’ve saved the zaniest for last. It’s nice. 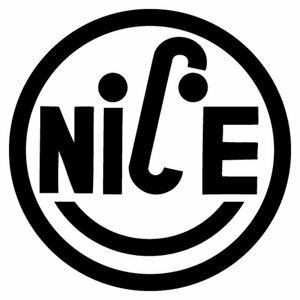 Really ‘nice’. This little word in the 13th century did not mean pleasant or soothing or modest. It meant foolish, stupid, trivial, wanton or senseless. It meant feeble-minded or mad. It meant coy. It meant ignorant. It meant reticent. And the little word kept on behaving in zany ways. Not nice at all. Or not as we know it. During the early 14th Century it meant timid, then later that century it came to mean fussy or fastidious, and then dainty or delicate. During the sixteenth century, when Shakespeare wrote his early plays, it meant precise or careful (still discernible in a phrase such as ‘nice and early’ or ‘a nice distinction’) before moving through a word for agreeable and delightful during the 18th century to kind and thoughtful in Victorian times. During late Victorian times until the late twentieth century it enjoyed a period of relative lack of zaniness, mostly meaning pleasant, agreeable or polite. Since the 1970s onwards it has been disparaged as a trite little word, bland and almost without true meaning. In the last two decades it has taken on ironic connotations. Complete and utter disaster just occurred? Nice. Imminent collapse of the world economy? Nice. Truly a journey of the zany for one little word. Maybe not so nice. Some of us care; others among us don’t even notice. One misplaced apostrophe can change the meaning (e.g. ‘let’s go’ or ‘lets go’) or just irritate the hell (or he’ll) out of some readers. But are we approaching a time when the apostrophe will go the way of the manicule and the asterism into the dustbin of typographical history? Regarding the possessive apostrophe for plurals, for instance, I used to be firmly in the fussy reader camp, considering the placement of this one to be crucial, and its application black and white. But over time I’ve learned about different schools of thought. For names ending in ‘s’, one ‘rule’ states that pronunciation of the name should determine apostrophe placement (e.g. ‘Keats’ poems’ sounds better than ‘Keats’s poems’, while ‘Moses’ roses’ sounds preferable to ‘Moses’s roses’). Why? It seems to be no more than an aesthetic rationalisation. In another court of opinion, only slightly more convincing, is the syllabic rule of thumb, whereby names of one syllable take an apostrophe and an additional ‘s’ (e.g. James’s hat), whereas names of more than one syllable should take an apostrophe but not a plural form (e.g. Tobias’ hat.). This has a kind of logic and I’ve often used this method. But I’ve often used the earlier ‘rule’ too. Far less persuasive is the ‘classical’ rule, whereby ancient names, such as those from classical or biblical sources, regardless of syllabic length, should take the apostrophe but no plural ‘s’ (e.g. Jesus’ disciples, Hercules’ labours). Why Hercules but not Erasmus or Cervantes? This arbitrary principle breaks down completely when modern-day people have ancient names (e.g. Zeus, Moses, Jesus). There’s also the scattergun principle of adding an extra ‘s’ to every plural but invariably a reader somewhere will take offence. It seems petty but some readers get quite worked up over little details. British author Lynne Truss, in her book Eats, Shoots and Leaves (2003), describes how she went crazy with permanent marker on posters for the movie Two Weeks Notice, obsessively adding an apostrophe after the word ‘weeks’. She was far from satisfied with the excuse from publicists that this was a largely unresolvable matter, as the apostrophe is often left out in such instances because this usage is considered by many to be more descriptive than possessive. Rule? What rule? Sure, most publishers in the UK, Canada, Ireland, India, New Zealand, Australia and the USA do not approve of apostrophes for initialism plurals (e.g. AGMs, CEOs, MBA, MPs, DVDs, 1980s, the over-60s) but that reputable and influential, if idiosyncratic, institution the New York Times insists onflouting this rule. Its style gurus continue pushing the acceptability of uses such as CD’s, 1970’s, TV’s and PhD’s. Important or petty? Whole careers and contracts can turn on such pettiness, it seems. The one rule universally agreed upon is that apostrophes do not belong in plural common nouns (e.g. ‘voters’ not ‘voter’s’, ‘pollsters’ not pollster’s’), the only exception being for plurals when confusion may occur (e.g. ‘do’s and don’t’s’, ‘dotting the i’s and crossing the t’s’). This is, after all, the most common abusage, the so-called ‘greengrocer’s apostrophe’ (or should that be greengrocers’? ), seen in egregious examples such as ‘apple’s and pear’s’. And this misuse can also appear in absence (e.g. ‘Todays special’). Such a cavalier attitude to a near unambiguously accepted form contributes to blood-pressure problems for some readers. For example, how would you react if you read ‘Young reader’s in countries’ all over the world delight in the Harry Potter book’s’? Yes, such chaotic punctuation is clumsy and unhelpful but the apoplexy of sticklers is based on a false assumption. Punctuation isn’t immutable. The manicule was in common use throughout the Age of Reason; now it’s near-obsolete, no more than a typographical atavism. Could our much-abused dangling comma be going the same way? 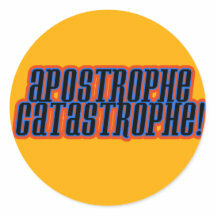 I wish to suggest that for all the sweat and anxiety we shower on the apostrophe, it may well be a lost cause. That used and abused little punctuation mark could already be on the way out. Lynne Truss learned this harsh lesson when defeated by the sheer volume of printed posters in her quixotic battle against Two Weeks Notice. Designers of software for Microsoft, Google and Apple probably know it too. Some of their text-based applications default to an apostrophe option even when a possessive isn’t required (e.g. ‘it’s’ instead of ‘its’) because we have no true uniformity in the era of global English. Perhaps fearing a backlash, publicists leave it out altogether (pace, Ms Truss). Our chaotic tongue is neither fixed nor logical; rather it is historical and evolving. Certain abbreviations that formerly required an apostrophe have in recent times largely dispensed with this nod to the longer word origin (e.g. ‘bus, ‘phone, ‘plane, ‘bye, ‘cello, ‘factory and Hallowe’en). That’s the way the wind is blowing. How much longer do we want to push against it? Sure, without any apostrophes there would be occasional confusion (e.g. ‘we’re’ could be confused with ‘were’ and ‘Hell’ for ‘He’ll’ and ‘shed’ for ‘she’d’) but many anxious writers could unclench their sphincters (e.g. ‘its’ would no longer be confused with ‘it’s’). Our language is already littered with confusing homonyms like defect (verb) and defect (noun), minute (noun) and minute (adjective), or bow (noun) and bow (noun). How do we know the difference? Context is king. Context will almost always place the word in its appropriate setting. I remain one of a small band of SMS users who continue to fuss about correct punctuation even in text messages. But I see how the trend is progressing. As early as 1966, the Geographical Names Board decided that Australian street and road names would no longer require an apostrophe. Kings Cross lost its punctuation mark, like Arthurs Seat and Mrs Macquaries Chair. As recently as 2009, Birmingham City Council in the UK decided to concede defeat in the punctuation war, declaring that they would eradicate all apostrophes from place names like St Pauls Square, Kings Norton and Druids Heath. So how much longer will the greengrocer need to sweat over a plural for apples? Will we soon be unable to find fault with ‘Were not going to take it anymore?’ Im sure its only a matter of time before the greengrocers proofreader retires. I hope this blog has been duly scrutable. I wouldn’t want you to have givings. In fact I hope you’ve been entirely plussed to read that my devotion to prose clarity has been far from swerving. I remain entirely committal regarding the need for kempt English. If my attempts have been less than gainly and my meaning maculate—worse still, if my prose has been peccable and my humour less than gruntled—I trust you will not consider this blog too gormful or ane and you can forgive my souciant tone. If at times your humble correspondent has fallen short of sidious, I hope I’ve kept my tone gruntled and my suggestions toward. It’s easy to be hibited and sipid while advocating a mitigated common sense approach to modern English usage. Shevelled and kempt prose requires us all to be less than cessant in our vigilance to remaining effectively communicado. 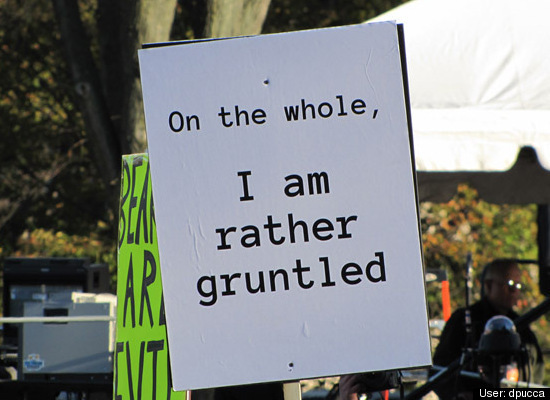 To help our usage of English to be descript and ept often means aiming for the petuous and the sufferable. We must be advertent, corrigible and bridled in our use of cliché. We must aim for a requited love of simile and metaphor, with a ruly attention to detail. Above all, I have tried to remain jected about the state of our language, which is less than the pareil of tongues. Beknownst to you all are my mixed feelings about this fernal language which at times can be most ert, even when changes leave it less than tact. I feel a concerting sense of may when I study English of the past and a sense of the evitable when I consider the usages of modern English that fall short of wieldy. In the face of effable evidence everywhere it’s easy to remain flappable. Once upon a time the language of our occupations had such a close relationship with individuals that we took on the names of our jobs. Coopers made barrels. Fletchers made arrows. Tailors made clothes. Fullers cleansed wool. Millers milled. Farmers farmed. Bakers baked. As for smiths, they worked iron, tin, gold and silver. No wonder there are so many Smiths. But would anyone in the Middle Ages have adopted the title ‘manager’ as their surname? Today this word is so widespread that it has almost lost its meaning, appearing in job titles from ‘case manager’ and ‘account manager’ to every level and delegation of office manager. Thus devalued, the word has become a victim of language inflation. It’s no longer impressive enough on its own, so many organisations have upgraded the word in their respective hierarchies to titles like ‘Executive Officer’. But what does ‘executive’ mean? An executive is someone carrying out an action, as opposed to a legislator or an adjudicator. In this word-devalued environment, would you say that a ‘senior assistant executive’ is senior to a ‘junior executive’? There’s no objective measure. Is a ‘senior business development officer’ a fancy name for the leading hand in a sales team? What about ‘associate executive’? Sometimes a ‘customer relations manager’ isn’t a manager at all, just a fancy name for someone handling complaints. Who does that person report to? It might not be a manager but a team leader, a coordinator or a section head. You think you’re talking to the manager but it in fact you’ve been dealing with the lowest head on the totem pole. That’s what language inflation does; it obscures meaning, and not always by accident. When I was ten years old I had a paper round. At the time I had no idea I was a ‘media distribution officer’. Language inflation today often occurs in combination with euphemism. The ‘dustman’ or ‘trash collector’ or ‘garbo’ becomes a waste technician, a sanitation engineer or a garbologist. The cleaner may be retitled ‘recycling officer’. What a lot of garbology. Teachers become ‘educators,’ as if they weren’t educating already; even worse is the inflated title ‘learning facilitator,’ in case anyone mistook the act of teaching as connected with learning. More garbology. School principals could easily become CEOs, as they are most definitely in charge, even if the title were to stand for chief education officer. Then what about senior teachers? Would they become ‘executive educators’? Workplaces frequently undergo a ‘restructure,’ which has less to do with the architecture than the job titles and reporting lines. Jobs are ‘redefined’. This nonsense didn’t apply to bakers and fullers and coopers and fowlers and millers. They had masters and apprentices. No executive anything. But that was before the language of work was ‘re-engineered’ and organisational composition ‘re-imagined’. More vogue words: and the meaning becomes less clear with each re-interpretation. So many euphemisms, so little time. Even unemployment isn’t immune. People are no longer sacked or fired; they’re ‘let go,’ ‘down-sized,’ ‘right-sized’ and ‘re-profiled’. What the hell is an ‘executive summary’? Isn’t it any different from a summary? Or do only so-called ‘executives’ read it? More garbology. And this extends to pronunciation. The humble ‘homage’ has had a language makeover lately, with many people speaking the word as if it’s French: oh-majj. What pretentious nonsense. Even the French don’t pronounce it that way; besides, their word is ‘hommage’. C’est ordures, monsieur. Plus garbologie. Perfectly serviceable words like ‘manager’ are no longer good enough. ‘Enthusiasm’ has to be upgraded to ‘passion,’ just as ‘problem’ has to be euphemised into ‘challenge’. ‘Totally’ is the new ‘very’. ‘Good’ has been supersized to ‘awesome’. In sporting commentary, the most predictable events, like a run-out in cricket or a close match that results in a loss are ‘tragic’ or ‘heartbreaking’. What rot. Sorry, I mean what a tragic disastrous catastrophe. That’s the problem of language inflation: when yesterday’s disaster becomes today’s cataclysm, we begin to run out of superlatives. What did Orwell have to say about the impoverishment of language robbed of meaning? Double-plus un-good.